When it comes to memorable music, we all have reference points in our personal music history. It’s when the melody or the lyrics or both touch us in unexpected ways, and stay with us. Trying to identify the “discovery moment” is an exercise in acute or selective memory. For example, to this day I know exactly where I was the day JFK was shot* (acute). I cannot, however, say with any certainty where I was when I first heard Ral Donner’s 1962 recording of “She’s Everything”, (a favorite of mine) other than I lived in Milwaukee and heard it on Top-40 radio (selective). Those familiar with the analytical device known as the Bell Curve, understand that it’s a useful tool in the study of statistics, buying habits, trends, and new technologies. The concept can also be applied to my rambling narrative about how we embed our favorite recordings into our long-term memories. Our favorite songs don’t arrive en masse at birth, nor do favorites always arrive chronologically. We often hear recordings that are new to us but in reality have been around for years. Regardless, each is added to an ever-growing collection of our favorite music as we grow to maturity. However, whether noticed or not, our readily available collection shrinks as we age, hence the Bell Curve imagery. The “missing” music doesn’t necessarily disappear, but rather favorites can recede from our memory until some outside stimulus awakens them. Some of my favorite records—those that I use as touchstones—were, in fact, recordings I discovered after the fact; not when first released but well after a record’s introduction and immediate or ultimate success. Part of this was chance, as we all had a limited amount of time to listen to the radio and weren’t always listening exactly when the new hit was being played. One of the great things about recordings is that there is no expiration date on discovery, so we have the luxury of discovering music over days, weeks, months, years, or longer. Today’s millennial generation of music lovers is, to a large degree, a generation driven by social media. Instead of taking days, weeks, or months, their “discovery” can be in minutes or hours. The bottom line for all music lovers is that each discovery is the recognition of a personal, emotional preference, as in “I like that”, or “it speaks to me”. When we first hear the music is no less important than how we connect with any particular recording. Before the age of ten, while my mother, father, sister, brother, and I were still together as a family, we drove almost every summer from our home in Milwaukee to visit family in either New York, or Florida, or Texas. It was during a 1958 visit that one of my earliest rock ‘n’ roll memories was created. Of course there was music in the Chevy station wagon during the drive. 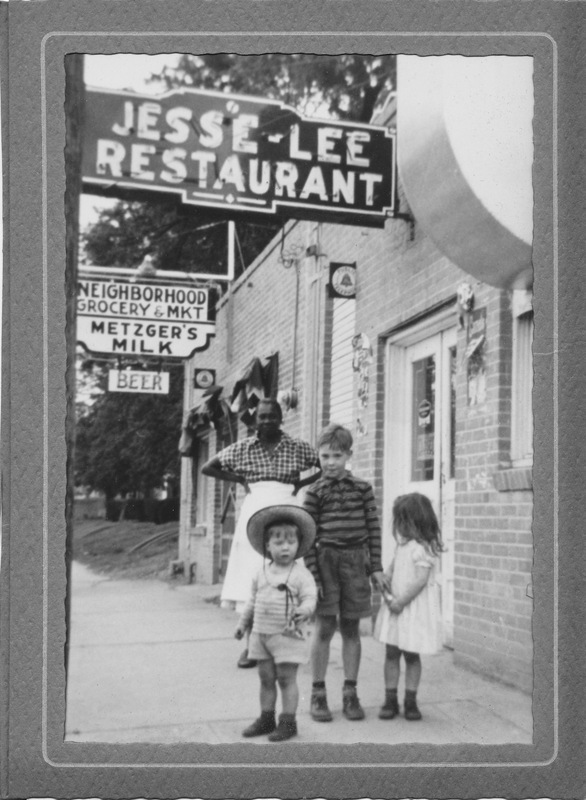 The real memory, however, was in Dallas, where my grandfather Jesse owned a little diner on the fringe of downtown. From our booth I could see right into the kitchen and observe Alice, Jesse’s cook creating her memorable meals for the regular crowd of local Texans; and for a ten-year old from Milwaukee. About the same time that Alice placed our lunch in front of us (roast beef, mashed potatoes and gravy for me), Jesse’s jukebox kicked in playing “All Shook Up” by Elvis Presley. One of the most played records of 1957, it didn’t matter that the record had been out for a year, had already been up and down the charts, and had gone through my 10-year old brain hundreds of times before that day at the diner. From that moment and continuing today, I connect “All Shook Up” to the taste of Alice’s roast beef, and that’s a pleasant memory. The “connectors” of music to our brain—our personal pleasure or pain receptors—are always waiting to be triggered by some moment, some memory. Whether you create a list with pen and paper or on your computer, or you decide to reorganize your iPod playlist, the point is simple: music is indispensable in our lives. It can evoke roast beef or roses; it can be Elvis or the Eagles; Beethoven or Billy Joel; or it can be Dallas or Milwaukee. It’s where we were then, and where we are now. At the very least, music is a regular accent to what goes on around us, in the foreground or as a backdrop. At its very best, our memorable music is a soundtrack to the events of our lives, from cradle to grave. We can’t relive our lives, and we can’t dwell on what’s past. But, we are absolutely allowed to let that smile cross our faces and embrace the music we’ve loved. Don’t wonder why the music stays with us. Just be grateful that it does. But there ain’t no use in getting all hung up trying to live on Memory Lane. * On November 22, 1963, I was standing at my locker at Bay View High School in Milwaukee, talking to my friend Bob. ** “She’s Everything” was released in late 1961, peaked at #1 in Billboard on February 17, 1962, and spent 11 weeks in Billboard Magazine’s Hot-100. *** Henry Gross recorded “Tomorrow’s Memory Lane” in 1975 for A&M Records. Note: An edited version of this post is available in the September issue of The Lighthouse Peddler.